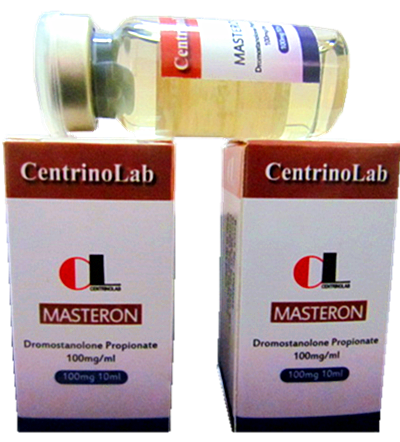 Masteron (Drostanolone Propionate)is an anabolic androgenic steroid that first hit the market around 1970 under the trade name Masteron manufactured by Syntex. However, the compound was actually developed by Syntex in 1959 along with Oxymetholone (Anadrol) but would not be released until well after Anadrol. Syntex would also provide the compound under numerous other brand names such as Masteril and Metormon among others, as well as Drolban under the license given by Syntext to Lilly. However, Masteron has remained the most recognizable brand. As a therapeutic agent, Masteron enjoyed two decades of success in combating advanced inoperable breast cancer in postmenopausal women. It would also become a popular cutting steroid among bodybuilders, which is where Masteron is currently most commonly found. However, the original Masteron brand is no longer available; in fact, nearly every pharmaceutical brand on earth has been discontinued. This compound is still approved by the U.S. FDA, but it is rarely used in breast cancer treatment any longer in favor of other options. The steroid is, however, still tremendously popular in competitive bodybuilding cycles and often considered essential to contest preparation. Testosterone Treatment only $199/month All-IncludedDrostanolone Propionate is a dihydrotestosterone (DHT) derived anabolic steroid. Specifically, Masteron is the DHT hormone that has been structurally altered by the addition of a methyl group at the carbon 2 position, This protects the hormone from the metabolic breakdown by the 3-hydroxysteroid dehydrogenase enzyme, which is found in the skeletal muscle. It also greatly increases the hormone’s anabolic nature. This simple structural change is all it takes to create Drostanolone, and from here the small/short Propionate ester is attached in order to control the hormone’s release time. Drostanolone Enanthate can also be found through some underground labs, which does not have to be injected as frequently, but it is somewhat rare compared to the Propionate version. The majority of all Masteron on the market will be Drostanolone Propionate. On a functional basis, Masteron is well-known for being one of the only anabolic steroids with strong anti-estrogenic properties. Not only does this steroid carry no estrogenic activity, but it can actually act as an anti-estrogen in the body. This is why it has been effective in the treatment of breast cancer. In fact, the combination of Masteron and Nolvadex (Tamoxifen Citrate) has been shown to be far more effective than chemotherapy in the treatment of inoperable breast cancer in postmenopausal women. This also makes it a popular steroid among bodybuilders as it could actually prohibit the need for an anti-estrogen when used in the right cycle. This will also prove advantageous during the cutting phase due to the hardening effects it can provide. Masteron carries relatively low anabolic and androgenic ratings; however, these ratings are somewhat misleading. It’s important to remember DHT, the basis of Masteron, is five times more androgenic than testosterone with a much stronger binding affinity to the androgen receptor. This again promotes a harder look and can also enhance fat loss. Most all anabolic steroids are well-noted for enhancing the metabolic rate, but strong androgens have a tendency to directly promote lipolysis. As an anabolic, Masteron isn’t well-known for promoting gains in lean muscle mass. It has never been used for muscle wasting in a therapeutic sense and will almost always be found in cutting plans among performance athletes. It can, however, promote significant boosts in strength, which could prove beneficial to an athlete who may not necessarily be looking for raw mass. Without question, the effects of Masteron will be displayed in the most efficient way during a cutting cycle. However, for the effects to be truly appreciated the individual will need to be extremely lean. This is why the hormone will most commonly be found at the end of bodybuilding contest prep cycles as the individual should already be fairly lean at this stage. The added Masteron will help him lose that last bit of fat that often hangs on for dear life at the end of a cycle. It will also ensure his physique appears as hard as can be. Of course, the anti-estrogenic effect will simply enhance this overall look. For those that are not competitive bodybuilder lean, it is possible that the effects of Masteron may not be all that noticeable. The individual who is under 10% body fat should be able to notice some results and produce a harder, dryer look, but much over 10% and the effects may not be all that pronounced. As a potent androgen, Masteron can benefit the athlete looking for a boost in strength. This can be a very beneficial steroid for an athlete who is following a calorie restricted diet in an effort to maintain a specific bodyweight necessary for his pursuit. The individual could easily enjoy moderate increases in strength and a slight improvement in recovery and muscular endurance without unwanted body weight gain. As a bulking agent, the effects of Masteron will prove to be rather week. It is possible the hormone could provide gains in mass similar to Primobolan Depot, which won’t be that strong either, if the total dose was high enough. However, the relative gain in size will be very moderate with many anabolic steroids being far more suited for this period of steroidal supplementation. There are those who may wish to include Masteron in a bulking plan for its anti-estrogenic and fat loss effects. The latter would ensure they kept their body fat gain minimized during off-season bulking phases, but this isn’t reason enough to use it in this phase. Body fat should be controllable without it. As for the anti-estrogenic effects, off-season cycles are normally comprised of large amounts of aromatase activity due to high doses of testosterone. Progesterone activity is also commonly high with the addition of Nandrolone compounds and possible Trenbolone. Consider additional Anadrol or Dianabol and this estrogenic activity can become very pronounced. Unfortunately, while possessing anti-estrogenic effects, Masteron will not be strong enough to combat this level of estrogenic activity. The standard Masteron dose for adult men will normally fall in the 300-400mg per week range. Normally, this will mean an injection of 100mg every other day for a total of 6-8 weeks. This does not mean 6-8 weeks represents the total cycle, but this is a common time frame for the Masteron portion of a stack. Some may alternatively choose to split their dose up into a daily injection schedule, but every other day should suffice. If a Drostanolone Enanthate version is found, 1-2 injections per week will work, but such a version is somewhat rare. For female breast cancer treatment, standard dosing calls for 100mg three times per weeks for 8-12 weeks. This will commonly lead to virilization symptoms that could be hard to reverse. However, no one can deny it’s still better than cancer. For the female athlete, 50mg per week should be more than enough for a total of 4-6 weeks. Some women may find doses closer to 100mg per week to be justified if they tolerate the hormone well. Doses of this range should be controllable for most women, but individual sensitivity must be kept in mind. Doses that go above the 100mg per week mark or beyond 4-6 weeks of use will more than likely produce virilization symptoms at some level. The original Masteron brand of Drostanolone Propionate is no longer manufactured. Anyone purporting to have Syntex Masteron is providing a counterfeit product. There is further no U.S. pharmaceutical company that manufactures Drostanolone in any form, and it is very scarce on the world market. However, this hormonal compound is widely available on the black market. The Mastabolin brand by Alpha Pharma should be in high supply in most markets. Underground labs like Geneza, Biomex, QD Labs and Generic Labs are all big suppliers of the compound. When dealing with any underground lab, it is extremely important that you research the lab and supplier in question before making a purchase. Regardless of the lab in question, you should find Masteron to be fairly affordable in the current market. This is a bonus as not long ago it was a fairly expensive anabolic steroid. In some performance enhancing circles, Masteron is viewed as a relatively weak anabolic steroid. This is largely due to the steroid having low mass promotion abilities, and many tend to equate quality steroids to their mass promotion characteristics. Some also tend to forget that while a steroid may be a quality one, it will not present notable benefits unless you are very lean. This tends to lead many to having a skewed perception of Masteron due to this improper thinking. This is a very valuable anabolic steroid, but you must understand the purpose of use and the benefits it can provide if such beneficial rewards are going to be gained. Understand that raw mass promotion is not the end all be all of progress; understand the total purpose of use of a steroid and when to use it and you will find Masteron to be a very valuable anabolic steroid.